When I joined NGA as President and CEO in 2010 we launched the Member Value Proposition (MVP) Project to learn from our members what their association was doing well, where we needed to improve and what they wanted in the future. We listened to that feedback and the principles from the MVP continue to guide our work every day. 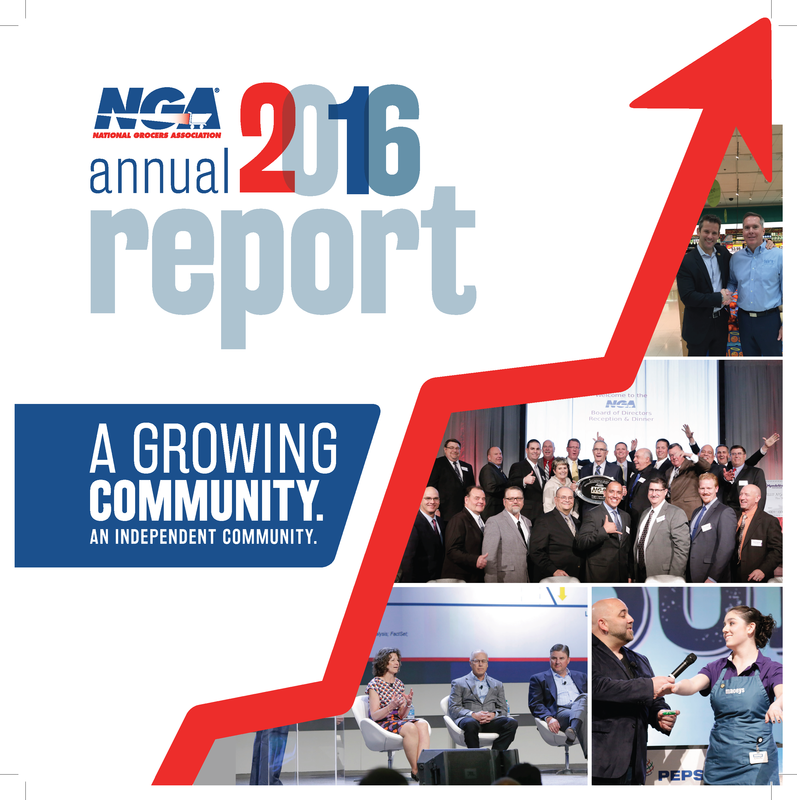 If there were one word to describe this past year for NGA it would be growth. Our success throughout the past year tells a great story of a vibrant industry. In light of a challenging economic time and an extremely competitive marketplace, it’s a huge positive to see the independent supermarket community so driven to serve their customers and building their businesses. NGA continued its membership growth while breaking attendance and sales records for The NGA Show. Due to the continued demand and growth, we announced in the fall of 2016 that The NGA Show will be relocating to the San Diego Convention Center in 2019 and 2020. With more than $131 billion in sales and nearly a million jobs, independents are a backbone of the national economy and local communities. Given their close ties to their communities, it is increasingly important for independents to communicate with policymakers in Washington about the impact legislation and regulations have on the supermarket industry, their employees, and ultimately, the consumers they serve. In 2016, NGA member companies hosted 20 store and facility tours for Members of Congress and U.S. Senators. Additionally, two NGA retail members testified before Congress on important issues impacting our industry. Jimmy Wright of Wright’s Market in Opelika, Alabama, testified in May on the SNAP program and the advances he has made in his store to better serve SNAP customers, and Mike Beal of Balls Food Stores, located in Kansas City, Kansas, testified in November about the Double Up Food Bucks program he oversees in their Price Chopper stores. Identifying and securing these types of opportunities for independent grocers to share their stories with Congress provide tremendous value as we advocate for the industry on Capitol Hill. Independent grocers have a lot to build on, which I am confident will be evident during this year’s NGA Show, held this month in Las Vegas. It was a great year for NGA, and it is our privilege to be the voice of the independent supermarket industry, but none of our success would have been possible without the strong support and commitment of our member companies. We look forward to carrying our momentum onward into 2017. To read more about NGA’s year-in-review, visit www.nationalgrocers.org/annualreport.